Gisele Bündchen is captured by Steven Meisel for the health & beauty issue of Vogue Italia, this issue will be on the newsstands in Milan the 4th of June. Glamorous wellness. Global wellness, an all-round healthy lifestyle. 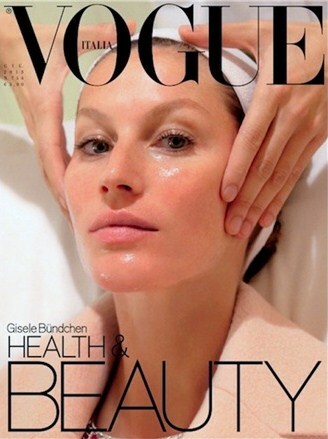 Health and beauty as the result of a wider process of harmony of the body so the choice of Gisele is a great one for this June issue of Vogue.